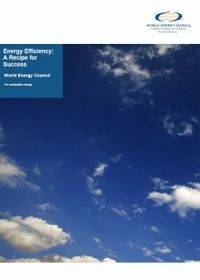 This report summarises the outcomes of a pilot project launched by the World Energy Council Knowledge Network on Energy Efficient Technologies in 2011. 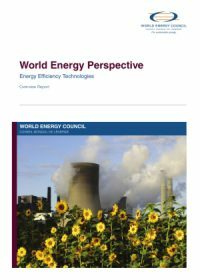 This work, focused on technologies, complements the well-established World Energy Council work on Energy Efficiency Policies, and more recent study projects addressing Energy Trilemma and Scenarios. Energy efficient technologies can be found in all parts of the energy conversion chain: from exploration and production of primary energy resources, to power generation and oil refineries to electricity grids, to the final use in industry, buildings and transportation. But it is not only the technical potential which is crucial for successful introduction of energy efficient technologies. To assess the full potential of such technologies and identify the path towards their successful market introduction, it is necessary to consider their economic, realisable and also realistic potential. This report is the fifth edition of our World Energy Trilemma series. The 2013 report describes what public sector stakeholders believe they need from the energy industry. It is based on interviews with more than 50 energy and environmental ministers, policymakers, government officials, representatives from multilateral development banks, international non-governmental organisations, and experts from more than 25 countries. 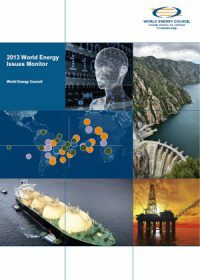 This is the 2013 edition of the World Energy Council’s annual assessment of the energy issues affecting the global energy sector. 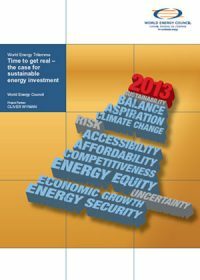 This publication reports on improvements in energy efficiency and the rising global energy appetite. The incident at the Fukushima Daiichi nuclear power plant—the result of a devastating earthquake and subsequent tsunami on March 11, 2011—has re-invigorated the debate about how to meet the world’s growing demands for energy and the contribution of nuclear power to the global energy mix. 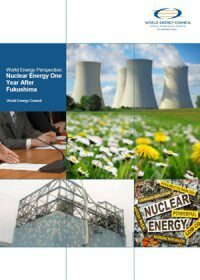 This World Energy Council report demonstrates that the Fukushima accident has not so far led to a significant retraction in nuclear power programmes in countries outside Europe, except Japan itself. In Europe, changes in nuclear policies have only taken place in Germany, Switzerland, and Italy. Progress in many national programmes, especially in non-OECD countries, has been delayed, but there is no indication that their pursuit of nuclear power has declined in response to Fukushima. This report presents the results of a three-year study on ‘Energy Efficiency Policies’ coordinated by ADEME (French Environment and Energy Management Agency) with the technical assistance of ENERDATA and contributions from more than 70 World Energy Council member countries. The study was aimed at monitoring energy efficiency trends through various indicators and evaluating energy efficiency policies. The report provides updated information and expands the range of countries covered in previous reports prepared by ADEME and WEC for the last five World Energy Congresses. 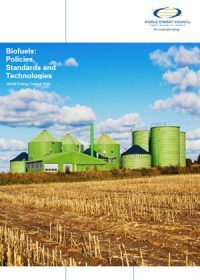 This World Energy Council report reviews the biofuels debate within the arena of an increasing global appetite for energy. The report presents a global picture but focuses on the Americas. Discussion covers issues related to the diversity of energy supply, standardisation of biofuels, trade policies, sustainability of biofuels production and use and other topical matters with the ultimate objective of promoting a better understanding of the basic fundamentals which will define the future of biofuels worldwide. 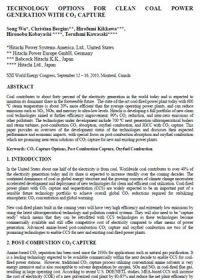 This paper provides an overview of the development status of CO2 capture technologies and discusses their expected performance and economic impacts, with special focus on post-combustion absorption and oxyfuel combustion which are promising near-term solutions of CO2 capture for new and existing power plants. This report presents results from a joint project and three year study facilitated by the World Energy Council and ADEME (French Environment and Energy Management Agency). 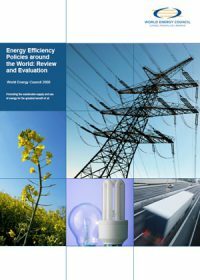 Findings include the main long-term drivers of energy efficiency policies are; security of energy supply, efficiency of national economies, environmental concerns, including global warming and, in developing countries, investment constraints on the energy supply side.